of mysteries is written down each morning. Idols fall like old argyle socks. what will always remain beyond our grasp. no one else would think to ask. Fairfield Porter, John Ashbery (Argyle Socks), 1952. David Lehman and Kevin Young discuss John Ashbery's "Worsening Situation" for "The New Yorker"
In this New Yorker podcast, David Lehman joins New Yorker poetry editor Kevin Young to read and discuss John Ashbery’s poem “Worsening Situation” and his own poem “Stages on Life’s Way"
Of Keats's last poem or a quote from Rimbaud. We have been riding the A train since 1965. Rides, ceremonies, rites. What's the point? Else -- Paris, Texas, for instance..
Four introductions to poetry readings given by John Ashbery. Happy JA Day, Every Buddy! It's John Ashbery Day in New York -- as April 7 was designated ("in perpetuity") by New York's City Council, Ms. Christine Quinn presiding, on April 6, 2006 -- so a bunch of us decided to get together and toast our absent hero! photo (c) Evelyn Horowitz. 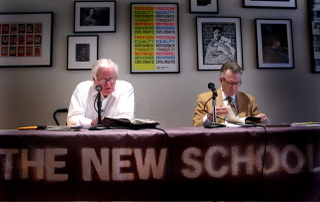 From left to right: Michael Malinowitz, Chard deNiord (now, poet Laureate of Vermont) and of course John. The background is a carpet bought from David Kermani. So many of my memories of John are of John and David and Evelyn and me and all of the friends and acquaintances that entail and entwine the enduing friendship of the 40 plus years I knew John. So, I thought Evelyn's photo and words would be a fitting tribute. Yet, I was a student in John's first class at the MFA program at Brooklyn College (where I met his adjunct, David Lehman), and for me it's where my JA voyage started. Aside from tutorials where I became acquainted with Dame Edna Everage; Pachelbel's Canon in D; Marias' Sonnerie de Sainte Genevieve; the Perfect Bombay Gin and Vermouth with cucumber Martini, and any poet worth mentioning which to John it seemed to me was almost everyone, it was also where John teased me about the "write a poem in a poetic form" assignment I handed in to him. I wrote an acrostic starting with J and titled it, The Casey Stengel of Poetry. He said he thought of suing, but I'd probably win the case on "coincidence." The last line of the poem--- "You traveled a sweeping pathway." --=well, I'm glad for that line. I first met John at a dinner given by the writer Jill Hoffman. She had been a colleague of John's at Brooklyn College and a teacher of the poet Michael Malinowitz, whom I had just started dating. My second meeting was in the summer of '78 at Bennington College. John read and after the reading I offered him some Grand Marnier. John later told Jill he liked me as I had nice liquor. We both returned to Bennington the next summer, I as the "go for" girl for the writer's program and assistant to the poet Stephen Sandy (who died late last year). While killing time before he read, John, a student (Synn Stern), and I sat around a living room and played twenty questions. I don't remember whom Synn or I chose but I do remember John's. John. The background is a carpet bought from David Kermani. Ashbery says he just reread an essay by Auden in which the poet called the Oxford English Dictionary "his most treasured reading" and praised the language as large, yet lenient, noting how Shakespeare would invent new words simply by turning a verb into a noun or an adjective into a verb. from Hillel Italie's Associated Press piece: "John Ashbery --- Movie Fan and Canonical Poet"
Ashbery spent an hour making up variations. "To Ashbery or not to Ashbery" came first, then "To Haight-Ashbury or not to hate Ashbery," then "To Ashbury him, not to praise him." He told me about the line in one of his poems -- "mountain ash mindlessly dripping its berries" -- as his own attempt to make hay while the sun shone. He chuckled like Popeye. 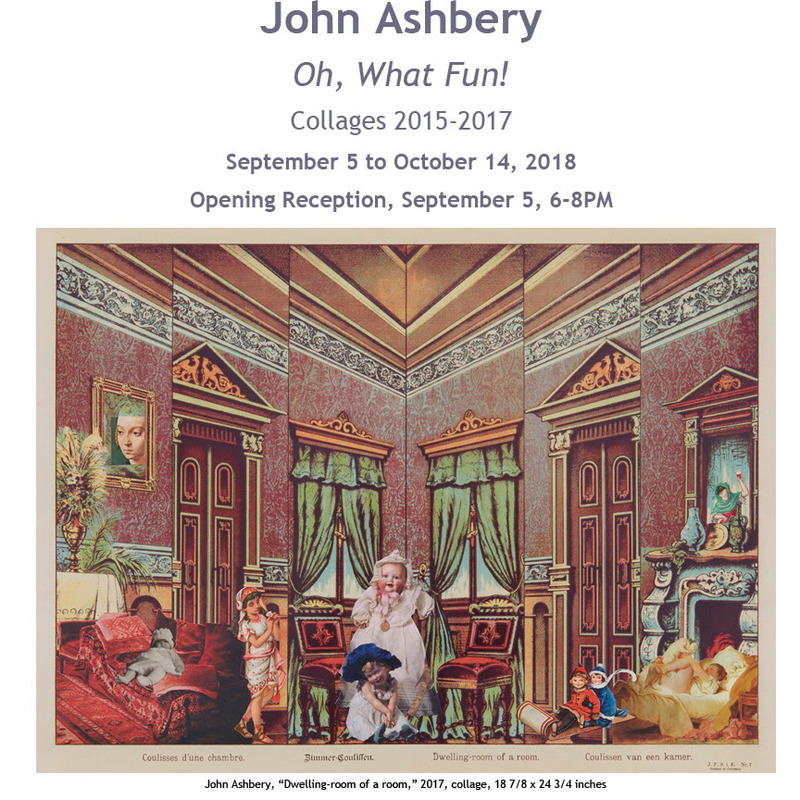 There is a comic book character named "Ashbery," a teenage girl, I believe. 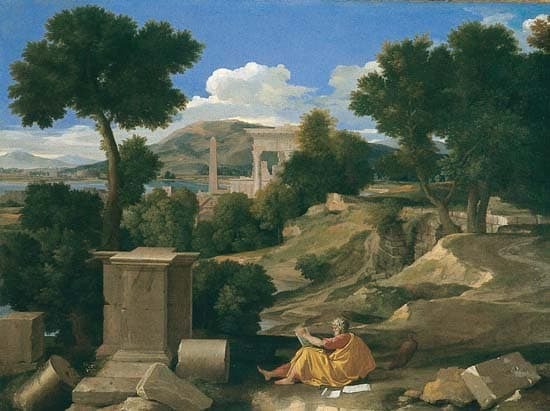 There is also precedent for distinguishing between John Ashbery and "John Ashbery" especially by scholars who understand the gratuitousness of the gesture but -- as with Saint Joseph in the Yeats poem -- like the way their fingers smelled. Friday at six, martinis straight up with olives. Plymouth or Hendricks. Tanqueray for JA; Bombay for Jim Tate ("lower proof so I can drink more of them"). A couple of eye drop's worth of dry vermouth, preferably Noilly Prat. Mucho hielo. Shake vigorously in a pickle jar. Yes, I know that shaking as opposed to stirring risks "bruising" the gin, and also that you slightly dilute the end product, and frankly my dear I don't give a damn. I like drinking the thing in a y-shaped glass with a floating island of chipped ice on top. Ashbery walks in, sees me, sidles up, whispers in my ear, "I hear that John Ashbery is at this party." Marshall McLuhan comes over and says that Obama is the "coolest" US president since JFK. The "hot" presidents were LBJ, Nixon, and Clinton. Carter was neutral. Reagan was "warm." W was mildly cool but only in relation to Al Gore in earth-tone garb. Woody Allen looks down at the floor as he plays Cole Porter on his clarinet. He is really a very modest fellow. Kim Novak doesn't have to act. All she has to do is stand there. Ditto Robert Taylor. The waiter brings over a tray full of Algonquin cocktails. Since I have no pineapple juice, freshly pressed or otherwise, I have to substitute grapefruit juice, and the rye runs out so I use Canadian Club in honor of Don Draper, as follows: one and a half jiggers whiskey, one jigger Noilly Prat dry vermouth, one jigger of grapefruit juice, times two, shaken. "Delicious," Stacey says. Judy Garland sings: "Our love affair will be such fun, / We'll be the envy of everyone. / Those famous lovers we'll make them forget / From Adam and Eve to Scarlett and Rhett." Lyrics by Arthur Freed, music by Roger Edens. Jack Benny says "I'm thinking" after a long pause following the menacing question, "your money or your life?" John Ashbery says that "Jack Benny was my role model." Jack Benny reminds us that he was born on Valentine's Day. I give him a copy of Self-Portrait in a Coinvex Mirror. He says, "I don't deserve this award, but I have arthritis and I don't deserve that either." In the works are three doctoral dissertations on JA in relation to Mr. Benny's radio show. 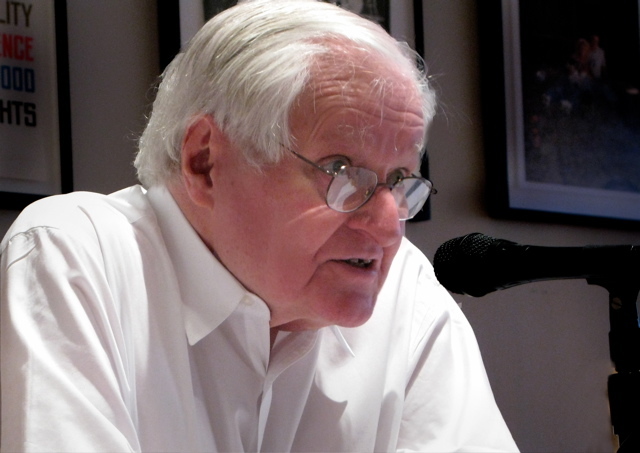 "Anyone who would understand Ashbery's poetry had better listen to the radio shows of the early 1940s," says Professor McGuffin with the authority of Jacques Barzun on the subject of baseball. I just thought of a skit featuring Danny Kaye and Bob Hope -- an abbreviated version of Kafka's The Trial, with Kaye in the lead role. Kaye says he has goine from being Davi Kaminsky in Brooklyn to Josef K. in Prague via the dancing feet, sweet voice, and comic brilliance of the greatest of all Borscht Belt geniuses. Kaye say he is looking for justice and Hope says he is looking for a war to visit. One of them will have to wait for a long time. Thanks for the memory, Bob. You don't deserve to be dismissed, ignored or recalled with a patronizing sneer, but that's the Zeitgeist for you. Ashbery says he and Frank O'Hara saw On the Town, the movie, one holiday night and they loved it so much they went on to walk to the Brooklyn Bridge and strill across it. 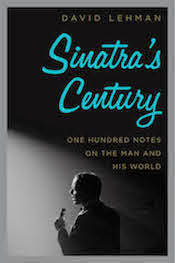 I love it, too, though I can't understand why they left out some of the greatest Bernstein songs ("Some Other Time," "Lucky To Be Me," "Lonely Town") and it's a shame they changed "a helluva town" to "a wonderful town," the town being New York City. Joni James sings "As Time Goes By." Here's to you, Herman Hupfeld, alias Dodie (to his friends), who wrote both the words and the music. "Moonlight and love songs never out of date, hearts full of passion, jealousy and hate / Woman needs man and must have his mate." 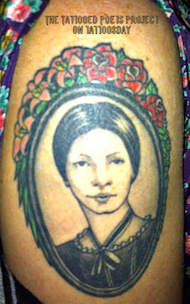 Vivien Leigh says "tomorrow is another day." 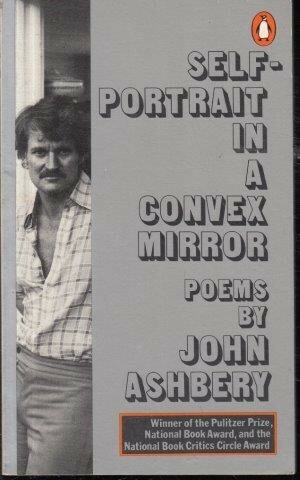 Matthew Zapruder on Ashbery's "The One Thing That Can Save America"
On the cover of this pocket-sized edition of John Ashbery’s Self-Portrait in a Convex Mirror, the poet stands in a doorway. He wears the somehow simultaneously ill-advised and completely stylish ensemble of a half-unbuttoned patterned shirt and tight beltless pants. Looking closer, the doorway seems to open not to a room or to the outside but to a closet: on a shelf behind him there is a pot or urn, and the flatness of the photograph makes it seem a bit as if he is wearing it on his head, like a bizarre hat. He is looking straight out of the front of the book, with a direct, slightly furrowed expression. He is about to smile beneath his full mustache. Something strange is just about to happen. When I bought this copy of Self-Portrait, in 1993, I had just begun a doctoral program at UC Berkeley. Full of a desire, secret to everyone including myself, to live a creative life, I was skeptical about, but also attracted to, poetry. Now, holding this same book in my hand, I remember that time, and how Ashbery’s poems at first didn’t seem to make any sense, or go anywhere, or do anything. I felt angry reading them, as if I were in the presence of a giant literary hoax that I had the choice either to sanction or to condemn. The situation felt profoundly ethical to me. The poems offended my sense of what poetry, and art, should do. I remember how I carried into the reading of the book all the notions I had gathered, from my education and upbringing, about art. And also how I felt, despite my anger and resistance, like the poems somehow were addressed to me. That the poet not only needed to say these things but also needed someone to hear them. Something huge and important was at last beginning. What I thought was my principled resistance to meaninglessness was really a fear of, and attraction to, a new life. For more of this article, adapted from Matthew's recently published book Why Poetry? 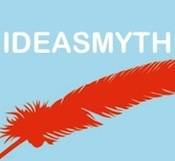 (HarperCollins). buy the book -- or link here for the article as it appeared in The Paris Review. 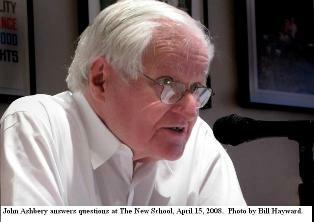 As an English professor and New York poet, John Ashbery was not only my greatest artistic influence but also a friend. So it shocked me when the late, great poet reached out to me from his New Yorker obituary in what felt like a bop on the head. In Larissa MacFarquhar’s New Yorkerelegy “The Gentleness of John Ashbery,” based on several of her past interviews with him, my idol called me out. My relationship with Ashbery started in 1974, when I was 22 and heard him reading his poetry on a record at the Donnell Library in Manhattan. 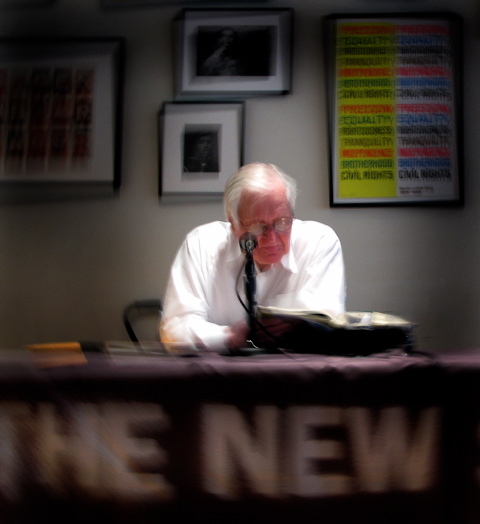 Reading at a Poetry Project event, Ashbery seemed aloof. However, recognizing him soon afterward on a Soho street, I instinctively blurted out, “You’re the new Walt Whitman!” He smiled and said thanks. “I’m a poet too,” I told him. And he invited me to come to his Brooklyn College poetry workshop. This article was written after a dinner for six -- John Ashbery, Mark Bibbins, Brian Chambers, Stacey Harwood, David Kermani, and me. In the time-honored male manner I elected to leave the planning entirely to my wife. Stacey loves spending time with John and David, and the prospect of planning a princely menu excited her. Still, it didn’t take long for an element of dread to surface. Although she loves to cook, and I think she’s exceptional, Stacey would describe herself as merely a “decent home cook,” meaning she can get a healthy simple dinner on the table mid-week in under an hour. But when it comes to entertaining, she is seriously out of practice. Ever since moving to New York City in 1998 she has curtailed her entertaining because of the limits imposed by a small apartment with a tiny kitchen and no dishwasher. We live on the top floor of a six-floor walkup, eighty steps from ground level, far too many for John, now 78, to climb. So where could we hold the dinner? I thought of Mark Bibbins, who lives with his tech-whiz companion Brian in a spacious Chelsea apartment with a wraparound porch. Like Stacey, Mark loves to cook and is very good at it, and he, too, is very fond of John and David. Mark and Brian agreed to collaborate with us, and after a flurry of e-mails with all parties, we settled on a Sunday night in November, the 13th to be exact, and we were in business. That was two months from now. I entered the information in my calendar and did my best to forget about it, which was just as well: Stacey proved herself capable of obsessing enough for two. Photo credit: Stephanie Paterik, 2011.